Police in New Haven, Conn., released a 1985 report about the incident showing Trump's nominee was questioned but not arrested. 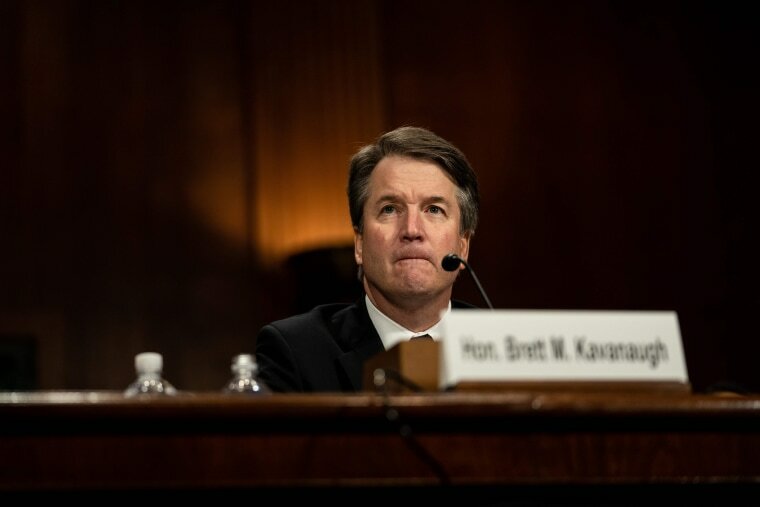 A report released Tuesday by police in New Haven, Connecticut, shows that Kavanaugh was questioned after the 1985 incident, but wasn't arrested. Dudley and Cozzolino didn't immediately return messages on Tuesday. The White House noted that Kavanaugh wasn't arrested or charged and questioned the incident's relevance. Meanwhile Mark Judge, a high school friend of Kavanaugh's, has completed his interview with FBI agents. His attorney, Barbara "Biz" Van Gelder, wouldn't say Tuesday when the interview concluded or what Judge was asked. Judge is one of multiple people the FBI has already interviewed as part of its reopened background investigation into Kavanaugh. On Monday, Van Gelder said her client had been questioned by the FBI but the interview was "not completed." Two other people who Ford said attended the same party have also been interviewed by the FBI.